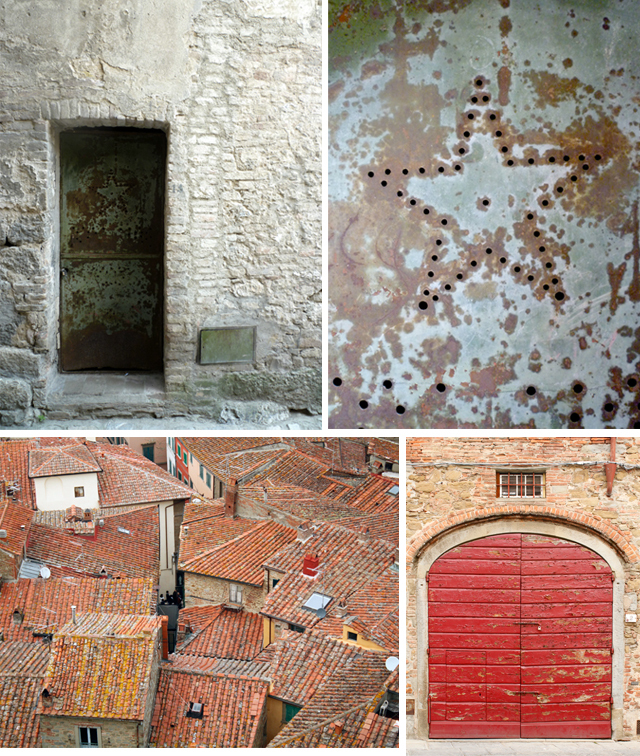 One of my favorite pastimes when traveling — and sometimes in my own home town of Barcelona — is taking photos of details, colors and textures and turning them into collages. I try to capture the beauty of things that might often go unnoticed by those passing by them every day. Doors, walls and corners that might seem mundane and yet are wonderfully unique. 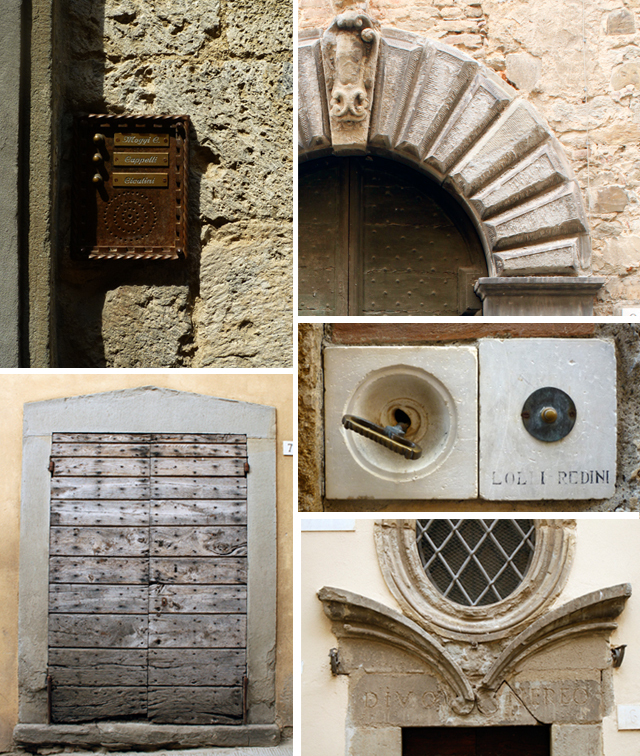 The following is a selection of what we recently saw while visiting ancient Tuscan villages. I love the harmonious gradations of reds and oranges on the rooftops of Castiglion Fiorentino. The terracotta tiles are so characteristic of the region that Siena — besides being an important medieval town — is also the name of this color of red. I find washed out grays, blues and metallics particularly beautiful in their subtleness. 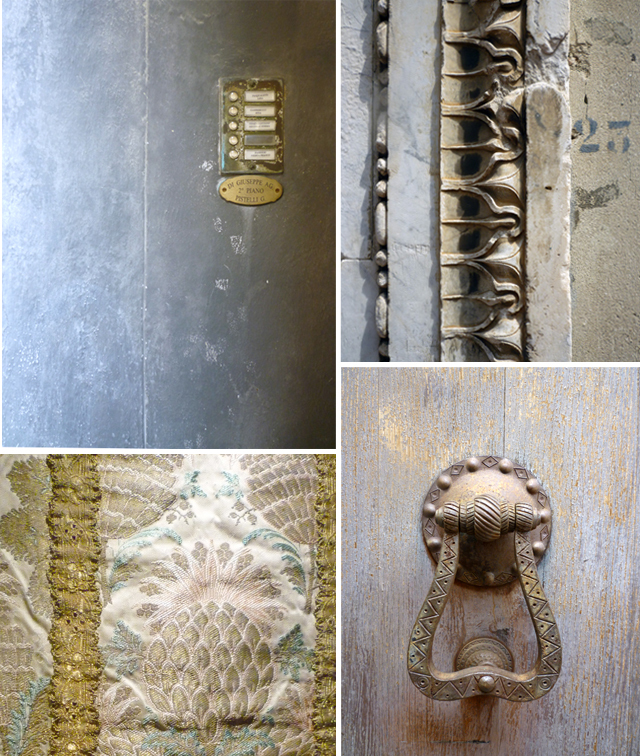 The intricately engraved doorways and door-knockers in San Gimignano displayed a wonderful chromatic variety. 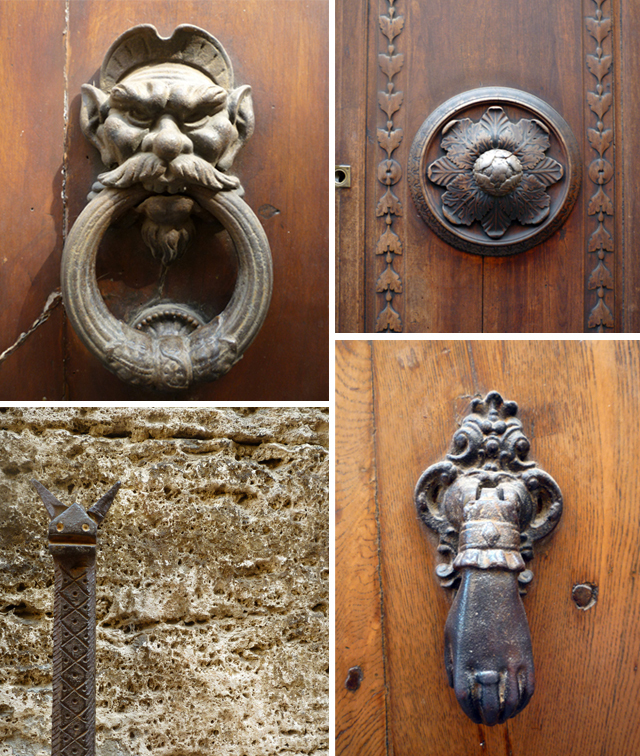 Fantastical creatures and symbols came out of Tuscan artisans’ minds to adorn the doors of those living in the main streets of San Gimignano and Arezzo. All photos taken by Jacopo Ponticelli and Ona Villier. This entry was posted in Uncategorized and tagged adventure, architecture, arezzo, binichic, photography, tuscany, villa, wabi sabi. Bookmark the permalink. Oooh! Here at BiniChic we’d love to see them! Buen ojo para seleccionar detalles!